Lily Collins was photographed wearing Junk Food t-shirt this weekend in LA! 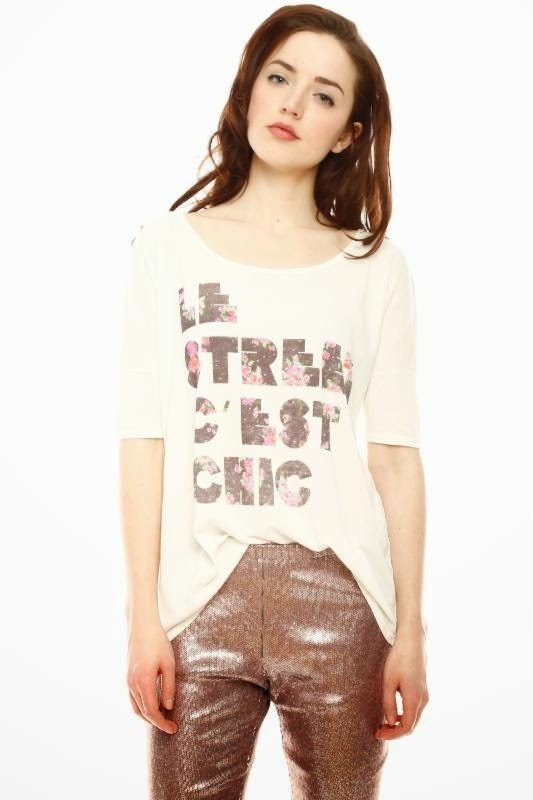 The British-American actress looked cute and casual in her Le Street C'est Chic Tee as she made her way to lunch (www.junkfoodclothing.com). Below is a picture of a fashion model in the t-shirt so that you can see the design more clearly. See more of Lily Collins here on the Fashion Blog.